At the start of the 1931-32 season in Hungary, Ferencvaros was very anxious to get their first title since 1928. That doesn’t seem a long time, but the club was used to winning trophies, collecting eleven titles since the start of the league in 1901. This season the combination of experience and talented young players was unstoppable, as Ferencvaros won all their 22 league-matches. Supporters of Ferencvaros hadn’t much to cheer about, after their club won the league and the cup in 1928, ánd the prestigious Mitropa Cup (7-1, 3-5 against Rapid Wien) five months later. Ferencvaros (also known as ’Fradi’) lost the 1929 league by one point to Hungaria Budapest, a year later Ujpest was two points ahead. Ujpest (also winner of the Mitropa Cup in 1929) looked like they were becoming a class of their own, also clinching the 1931 title. Ferencvaros only managed third spot, six points behind. In fact, the only success in three years time came in a friendly match in Uruguay. On July 21, 1929 Ferencvaros played against the double Olympic Champion Uruguay (1924, 1928) at the Montevideo stadium and won 3-2 (Jozsef Takács scored two goals, the other was scored by Mor Rázsó). One year later Uruguay would be crowned the first world champion ever. Looking at the Ferencvaros-squad that won the Mitropa Cup in 1928, nine of them were still active at the club in 1931: goalkeeper Ignác Amsel, the brothers Géza Takács I and József Takács II, Antal Lyka, Márton Bukovi, Elemér Berkessy, József Turay, Ferenc Szedlacsik and Vilmos Kohut. 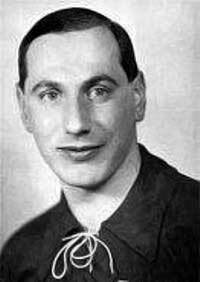 Talented new players were goalie József Háda, Gyula Lázar, Géza Toldi and perhaps Fradi’s best ever player: György Sarosi. 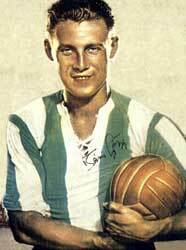 At the start of the season still only 18 years old, Sarosi had already played seven league-matches in the famous green and white. This season he was a regular, playing in a rather defensive role. It shows how versatile the skilled Sarosi was, as in later years he would become a prolific goalscorer, scoring more than 430 official goals during his career. The point was, Ferencvaros didn’t need Sarosi upfront. With József Takács and Géza Toldi, accompanied by Ferenc Szedlacsik and Vilmos Kohut, their attacking force terrified defenders. In the first three matches of the season Fradi won 7-2, 7-1 and 6-1. Just to make clear what their ambitions were. It wasn’t until match No. 9 against big shot Ujpest that things got a bit hectic. 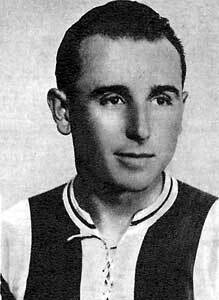 Only Géza Toldi managed a goal, giving Ferencvaros an important 1-0 victory. The first half of the season ended early December with another big win, 6-1 against Somogy. Takács scored three, bringing his tally to an amazing 26 goals in just eleven games. After a three months break Ferencvaros still was on a roll. Most games were won easily (Somogy was trashed 10-1), only three times the margin was just two goals. 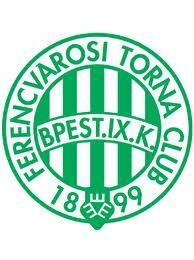 Two of them occured at the end of the season, Ferencvaros already being the champion. The strength of Ferencvaros in this season, is shown in the 22 victories, but also in the fact that the club scored 105 goals, with all clubs together scoring 505 (= 21%). And of course Jozsef Takács topped the scorerslist with 42 goals, way ahead of Laszlo Cseh II (Hungária FC) with 26 goals. Winning the league was the only title of the season for Ferencvaros. The team also reached the cup final on June 6, against Hungária FC. It ended 1-1, with Kohut scoring the goal for Ferecvaros, with Hungária’s star player Pal Titkos replying. Three months later, the replay saw Hungária win 4-3. Again Titkos was important with two goals, Szabo and Baratky adding the other two. Toldi, Turay and Táncos got on the scoresheet for Ferencvaros. 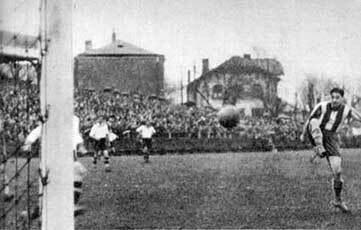 In the meanwhile, Ferencvaros also played in the Mitropa Cup. They had no chance against Juventus in the quarter-finals, losing 4-0 away on June 29, 1932. Four days later, Ferencvaros surprisingly got an 2-0 lead at home (two penalties from Sarosi within 18 minutes), but Juventus soon levelled the score. It ended 3-3 with another Sarosi-penalty. Ferencvaros simply were no match for Juventus’ trio from Argentina: Renato Cesarini, Raimundo Orsi and Luis Felipe Monti. Still, it was a remarkable season with remarkable players. For example, looking at the all-time Topscorerslist of the Hungarian league (from 1901 until now), players from this Ferencvaros-team occupy number 10 (Géza Toldi, 271 goals), number 6 (György Sarosi, 351 goals) ánd number 4 (Jozsef Takács II, 360 goals).